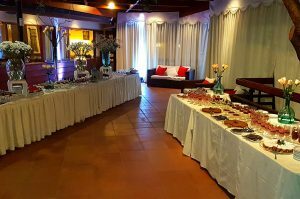 We are the perfect place for all kinds of celebrations, from small family reunions, birthdays, to large productions such as weddings or golden weddings. audiovisual and a multipurpose team capable of making your celebration absolutely special. Attended by its owners, the inn is characterized by its close and welcoming attention, which is reflected in all the activities that take place in our facilities.